Once more we go to Wrightsville, the small town that was purportedly murder free until Ellery Queen showed up. There are three destitute heirs, a threat of changes to a will, and, then, of course, the corpse. This is followed by failed attempts on the life of the new heir. Ellery realizes that the three heirs are red herrings, and captures the actual criminal. There are two interesting details regarding this story, though. The first is where it appeared. 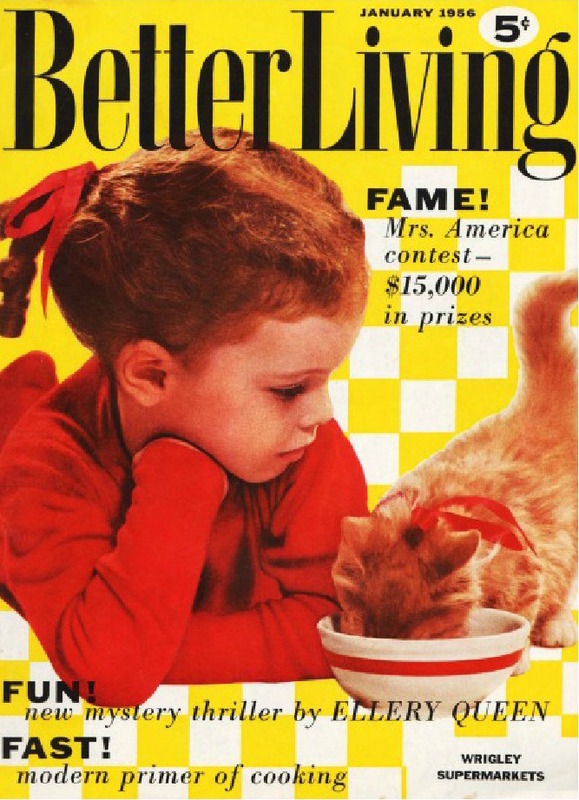 Better Living magazine was a typical magazine of advice for housewives, published 1951 – 1956. The pay must have been good, and perhaps the cousins were hoping for a longer relationship with the magazine. Sadly, the last issue was probably on the stands in May. The other point of interest is a change in the Queen’s Full text of the story. Queen’s Full was published in 1965, reprinting this story from 1956. In an obvious attempt to keep the story contemporary, they changed this sentence: “They never talked about the boy Amy had been engaged to, the one who was killed in Viet Nam; or about Amy’s parents, whom she could not remember.” My guess is the original text read “Korea.” I also wonder what other, less obvious, changes were made to the stories when they were collected. Did the cousins revert the text from unwanted editorial changes?